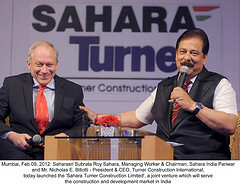 Sahara Group Chairman Subrata Roy invited Securities and Exchange Board of India executives for an open debate. Mr. Roy said that the debate could be a live- telecast. The dispute between Securities and Exchange Board of India and Sahara Group dates back to 2008. The issue began when two subsidiary firms of Sahara Group sold convertible bonds worth $3 billion. 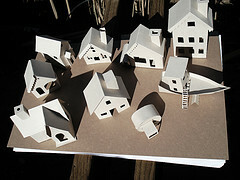 Nearly 30 million small investors bought the bonds. Both Sahara India Real Estate Corporation and Sahara Housing Investment Corporation were alleged to break the codes of conduct of SEBI. The firms’ sale of convertible bonds was termed illegal. Additionally SEBI found out that many ‘illegalities’ crept into the deal. So the regulator ordered the firms to submit the entire list of the investors. Further they ordered the firms to repay the amount to the investors. Once the Sahara failed to comply with the order, it ordered seizure of its properties. Will Sahara’s fight with the market regulator shackle its kingdom? In a statement published and given to the media, Sahara Claimed that the groups have already paid the entire amount to the investors. As per their records, they also had paid an additional Rs.5120 Cr with the market regulator. A full page advertisement appeared in top newspaper stating that they are clean. The advertisement appeared soon after the SEBI sought SC’s permission to arrest the Chairman and the managing partners. It challenged the regulator to come for an open one-hour debate which could be a live-telecast. The advertisement states that there was no complaint from any of the investors. Though the regulator states that most of the investors are fake, Sahara statement says that the firms are ready to present all the investors in front of any authority, if requested. It further adds that the market regulator is taking revenge on the group. However with the full-page coverage and advertisement, the rivalry between the two is to get worsened. This entry was posted in Real Estate News and tagged Sahara, Sahara Housing Investment Corporation, Sahara India Real Estate Corporation, SEBI, Securities and Exchange Board of India, Subrata Roy Sahara by designer. Bookmark the permalink.